The Mid-South is buzzing about the possibility of snow tonight and again Tuesday night. Several have asked for my opinion, or what I think of "this forecast" and "that forecast." So here it is! DISCLAIMER: So everyone knows where I am coming from, this is the stance I am taking with regards to this event (and all potential "impact" events) - it's no hype, an educated forecast, straight talk, and my gut feelings, all wrapped into one. I've seen 25 Mid-South winters, so my instincts are generally decent with regards to Mid-South weather patterns. Also, the thoughts in this blog apply to the Memphis metropolitan area ONLY. Other excellent and well-educated folks cover other regions or larger regions; MWN specializes in the eight-county metro region. With all due respect to The Weather Channel, I'm not interested in what they put on a national map, highlighting large areas and indicating a potential of 4" of snow. That's not local forecasting - what we do is. Back to the matter at hand... The meteorological discussion surrounding the chance of snow was discussed at length yesterday and still pretty much applies. I won't re-hash. First, the "easier" of the two potential snow events, which is tonight. The good news is that most precipitation should be very light tonight and the chances of rain or whatever falls have decreased. I've posted them at 40% in the MWN Forecast. We could see a few flakes mix in with light rain or drizzle in the wee hours of Monday morning. It won't be enough to coat grass, streets, or anything else. Schools will be in session and roads will be fine (other than potentially wet). It will stay cold and possibly wet throughout much of Monday. Look for a high near 40 and intermittent rain showers, becoming steadier as the day goes on. For Monday night: As the upper level low mentioned in my previous blog post (linked above) strengthens and moves from north MS/AL into middle TN Monday night, even colder air aloft will develop over the region and the Mid-South will be in a favorable position with respect to the low for precipitation formation. Due to the cold air aloft, cooling surface temperatures into the 30s, and plenty of dynamics from the strengthening system, there appears to be a better chance of winter precipitation Monday night than tonight. With more total precipitation expected, it makes sense that we could see more snow. Right? Kind of. The details continue to be sketchy, but the above logic seems to be panning out in the computer models. Thus, the chances of snow in our forecast are higher Monday night than tonight. BUT (there is always a but), it will all depend on the position of the low and the degree of cold air. I don't think we have to worry about whether there will be precip at this point. I also don't think we have to worry about whether there will be enough cold air under the low. But the position of the low, potentially a couple hundred miles to our east, could mean that we miss out on the brunt of the cold air and we get more rain than snow. More rain than snow means virtually no accumulation. The other factor against accumulation is the warm ground. Face it - it's November, not January. Snow just doesn't accumulate much in late November in the Mid-South because snow melts when it hits warm ground. It has to snow pretty hard to overcome the rapid melting. Having said all that, there is a CHANCE that some areas (I think those east of the Memphis metro in northeast MS and closer to the Tennessee River in west TN) could see minor accumulations by Tuesday morning (perhaps an inch or so on non-paved surfaces). I'm not holding out any hope, especially in the metro, of that happening. But it could and I would be doing you a disservice to dismiss it. I haven't posted any maps of potential accumulation or favored areas here because, well, I haven't found one I like! 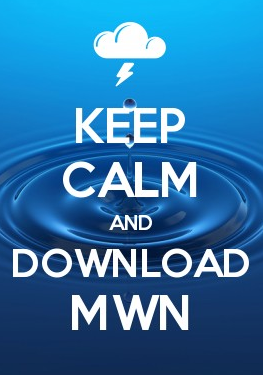 Follow MWN on Facebook and Twitter for more regular updates. Links can be found below.